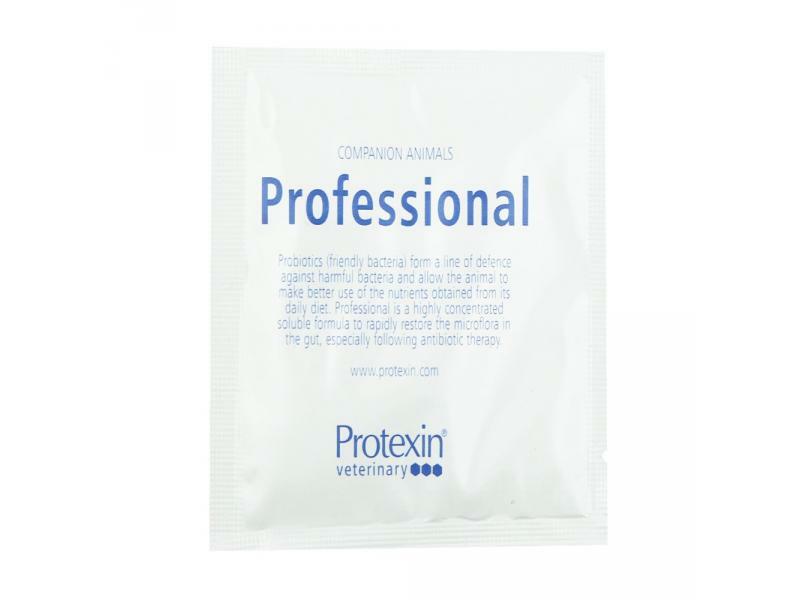 Protexin Professional is a super concentrated formulation, developed to quickly encourage microflora found naturally within the digestive tract. This soluble formula can be used when transporting animals and birds, to restore normal digestive function after upsets or antibiotics or as an aid to convalescence increasing the efficiency of the digestive system. Presented in easy to use no-mess sachets. A highly concentrated soluble formula to rapidly restore the microflora in the gut. Easy to use sachet presentation. 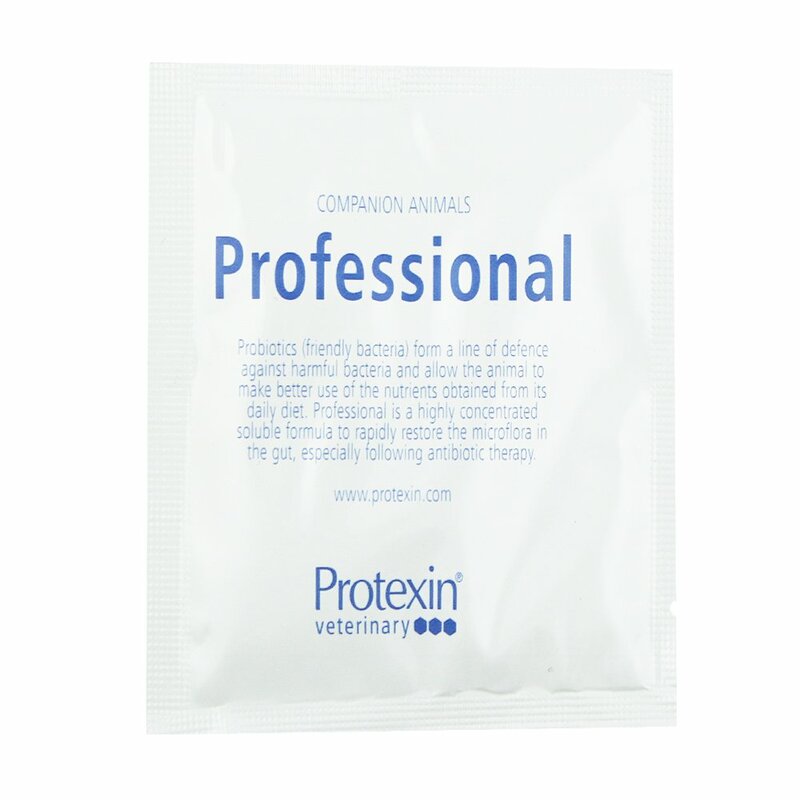 Professional for All Animals and Birds is a highly concentrated soluble powder containing beneficial microorganisms. The beneficial microorganisms contained in this product occur naturally in the gut of all healthy animals. These microorganisms colonise the immature gut or re-establish the disrupted gut, thus promoting the mechanism of competitive exclusion against potential pathogenic bacteria. This product is formulated for continuous use to promote efficient digestion and to boost natural immunity, particularly at times of stress when digestive upsets occur. The product is presented in a 5g foil sealed sachet for versatile use in a variety of circumstances. Add 1g to the water or food daily. If added to water it should be consumed within 12 hours. There are currently no questions for Protexin Professional - be the first to ask one!